I had an idea that it would be cool to be able to monitor the position of my boat using AIS, through www.marinetraffic.com and the free Marine Traffic app on my phone. My boat sits in Island Harbour, Anguilla, on a good mooring and by chance I have an AIS station for Marinetraffic.com installed at my house, although any station will function for this. If I didn't have that station this would not work for me as there is no other AIS station within range. At first I had the boat on anchor until the mooring installation was completed. I worried about it, so I would leave the AIS on transmit and that allowed me to check on the boat's position. I suggested to Marinetraffic.com it would be a useful feature for cruisers to be able to define a notification if the boat was to move, and they sent me instructions how to do it, as the feature already exists. 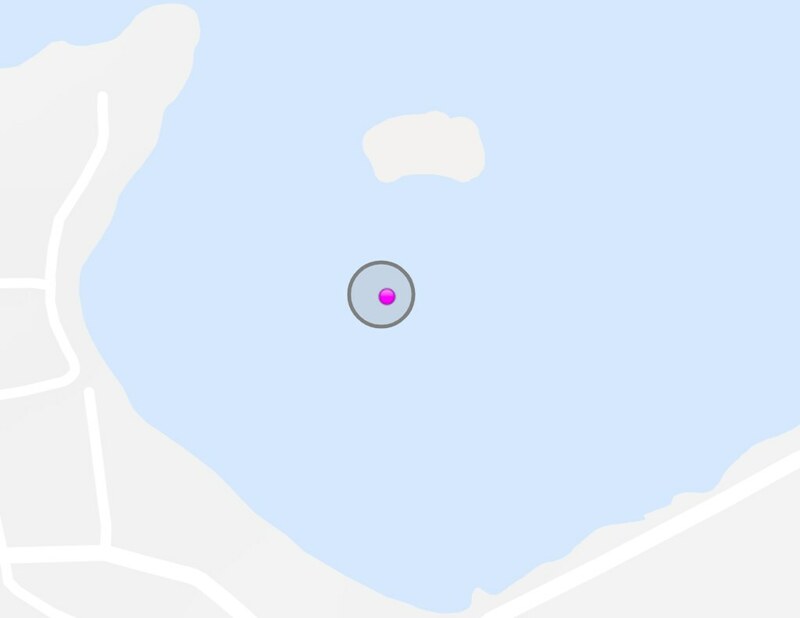 By creating a Custom Area in My Account, you can define a circle around the boat's location. You can then define a notification if it leaves the area. It's easy to edit the location if you are using it to monitor your current anchorage. I think this may be potentially very useful in a number of situations, such as monitoring a boat at anchor when you leave, or preventing boat theft. I wouldn't advocate it for boats in marinas, it would create too much noise for little gain, but for boats at anchor or out on moorings, it would be an easy to set up a monitor using only the equipment you already have. As long as you have data on your phone or periodic WiFi, the marinetraffic.com app will push notifications at you. I hope this is useful to someone and I'll pass on any comments to marinetraffic.com if anyone has suggestions. What is your course of action if the boat is dragging and you are not on it? Not being snarky. Truly interested in what you planned for quick response. You’ll also need another boat with an AIS to receive your position . The other boat should also be equipped with a satellite transmission to report your position to marine traffic network. Finally your AIS transponder should be active and within the range of the other boat. It would be easier to use cellphone communication to do it. Anchor Lite app will send you a text if you drag, or you can query it via text on boats position. Free app, takes 5 seconds to set up. Text and data rates, do apply. You’ll also need another boat with an AIS to receive your position. No, sites like VesselFinder and MarineTraffic have shore stations in many locations. If there's not one in your area, they'll help you set one up. I'd jump in my truck and get to the boat in about five minutes, it's half a mile from my house. Anyway, I'd rather know than leave it bouncing around on the beach. If it drags offshore, I'd get one of the charter boats to take me out to recover it. With AIS, I'll know where to find it but time is of the essence. If it was stolen, I would alert the port authority and the country it was going to. I have that station in my house, marinetraffic.com. The boat connects to that station when on its mooring. Seems like a great idea. I think my AIS goes to sleep when not moving and my vesseltracker normally blocks out non moving boats to avoid clutter. Are there settings with each I need to do. Will your app send a message or do you need to monitor. Thanks. Marine traffic notifies me of movement, but I get a free pro subscription as I host a station. I haven't got the area notification working fully yet but it's is defined. It sends me SMS messages. My Matsutec does not go to sleep ever, I have ran it for two years now.